Today we'll start with the mass of fresh and good news about two games in Batman: Arkham series. Let's start from the beginning. 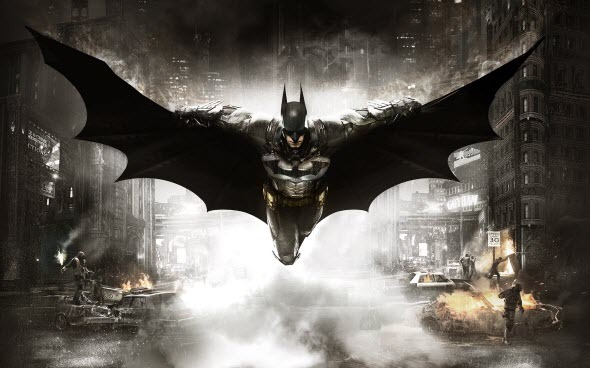 Firstly, we will tell you the latest Batman: Arkham Knight news. Thus, one of the Outside Xbox employees - Mike Channell - has managed to get an interview with the Brand Marketing Producer at Rocksteady Studios - Dax Ginn - during which the latter one has told a lot of interesting information about Gotham City, Batmobile and Joker. But since this Batman: Arkham Knight video lasts more than seven minutes, we will try to describe you briefly the most interesting details of the interview. First of all, Ginn has told that it was very important for them to create the most detailed and diverse city in which each next street is not like the previous one. Batman, being on the roof of a building, needs to understand from where he has come (or driven) and where he must go. Batman: Arkham Knight developers have made ​​each alley, street or avenue different from others due to the various lighting and unique architecture. In addition, there will be, as it was reported previously, a completely new and unique hero’s costume and Batmobile. According to the Brand Marketing Producer at Rocksteady, their main objectives in making Batman’s car were its functionality and appearance. It should be indestructible, heavy and incredibly fast. So far we don’t know whether the developers will succeed in achieving their goals, but already now you can look at Batmobile thanks to the fresh game’s screenshots that have been published today. Also Dax Ginn has confirmed that Joker really died in Batman: Arkham City and he won’t appear in the upcoming project, and that Batman: Arkham Knight game is the last one in this series, because theis saga was originally conceived as a trilogy. If you want to know more, then we suggest you watching new Batman: Arkham Knight video. But if you are interested not only in the latest Batman: Arkham Knight news, but also in another instalment in this series, then we hasten to share some new information about the upcoming Batman: Arkham Origins DLC. So, on the official video channel of the project a short video, which shows Batsuit and presents 10 new achievements of this add-on, appeared yesterday. More information about this DLC you can learn from our previous article, and Batman: Arkham Origins DLC video is published below.